Want to learn more about a large range of Guillotine or view a machine local to you ? 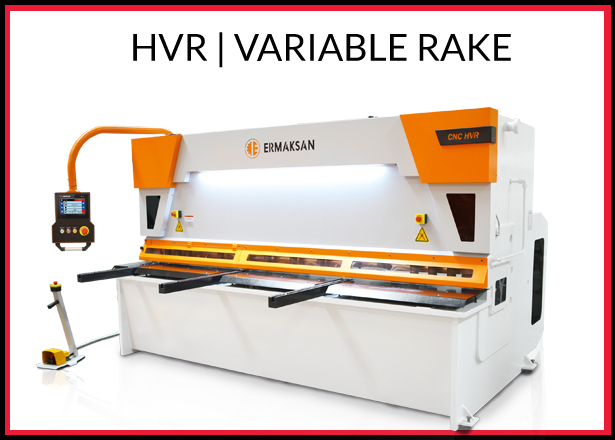 Engineering Machinery specialise in the supply and sale of new Ermaksan Shearing and metal cutting guillotines . If you are looking for speed, versatility and high efficiency, our range of guillotines below will have what your manufacturing process requires. Our Guillotine range come with the most up to date software on our controllers from Delem and Cybelec exhibiting rake angle / number of cuts and more to the operator prior to setting up his job. This constant innovation plays an important role in Ermaksan’s Guillotines . We use the most sophisticated equipment and systems in a streamlined process with strict quality control – contact the office today to arrange a viewing. 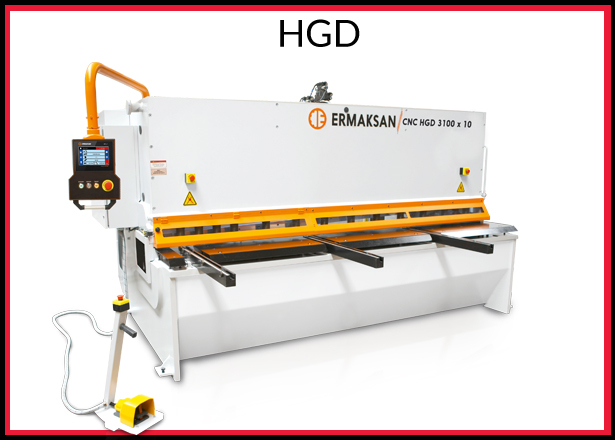 ERMAKSAN, HGD Series shears are designed superiorly for sheets 6-20 mm with high quality material and workmanship and produced to be used for many years in heavy duty conditions without problems.. Excellent cut, perfect speed. 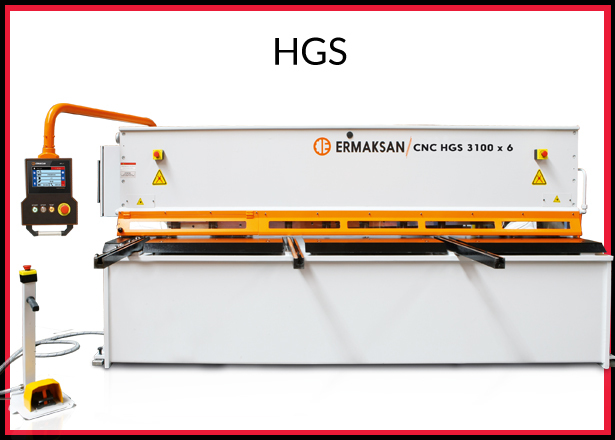 Ermaksan CNC HVR Hydraulic Guillotine Shear can cut all kind of metal sheet to maintain the highest production capacity with maximum precision and quality. 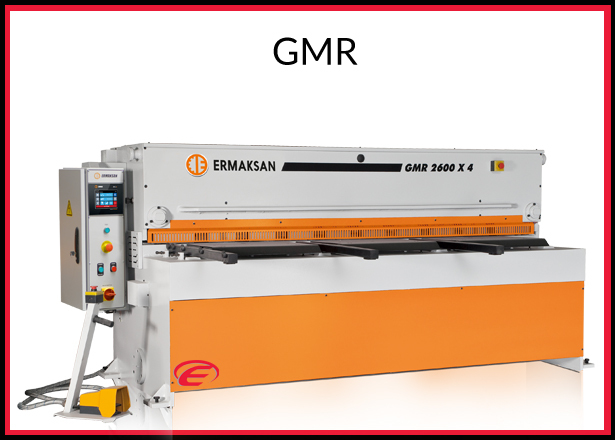 ERMAKSAN GMR Mechanical Guillotine Shears are especially for thin sheet metarials work very efficiently at high speeds and the best scissor in its class.